My friend Aarti, who blogs at the excellent Booklust, is hosting the third A More Diverse Universe next month. All you have to do to take part is read and review a book by a writer of colour in the last two weeks of September (from the 14th to the 27th) — and whereas in previous years the event was focused on SFF, this year it encompasses all genres. Earlier this year, when I took part in the We Need Diverse Books campaign, I shared a collection of links about why diversifying our reading matters; needless to say, they all remain as relevant as ever. The idea that deliberately seeking out works by authors of colour means compromising your standards of quality or deviating from your preferences is as persistent as it is frustrating. Aarti herself put it perfectly when she said, “You may have to change your book-finding habits to include POC authors in your reading rotation. You absolutely do not need to change your book-reading habits.” Much of this is down to the issue Tansy Rainer Roberts identified when I saw her speak at LonCon3: despite overwhelming evidence to the contrary, a lot of people still believe that the world is a meritocracy. They believe that talent alone will get you attention and success, and therefore the books that will get the most review coverage, or sell the most copies, or reach the most readers, will be the best and the most deserving. Unfortunately that’s not how it works. Obviously this isn’t to say that no good books ever become popular — only that privilege in its many incarnations plays a role. We pay more attention to the voices of people who belong to groups we’ve been socialised to perceive as authoritative, and a lot of excellent works are unjustly ignored. Making a deliberate effort to diversity your reading is a way to redress the fact that the world is not a level playing field. It means acknowledging that the best works won’t “naturally” rise to the top. It means a small step towards righting a wrong. And it means enriching your reading life by seeking out valuable perspectives that deviate from the white default. 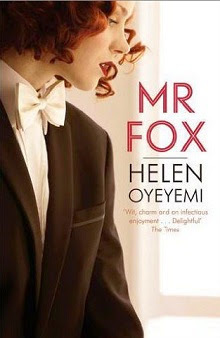 Mr. Fox by Helen Oyeyemi: Reports about the ending of Boy, Snow, Bird have put me off, but I definitely still want to read more Oyeyemi and this seems like a good choice. It’s a retelling (of sorts) of the folk tale of the same title, set in the 1930s and focused on a celebrated novelist who always kills his female characters. WANT. But Darling has a chance to escape: she has an aunt in America. She travels to this new land in search of America's famous abundance only to find that her options as an immigrant are perilously few. 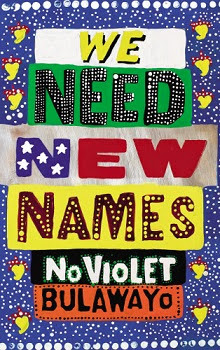 NoViolet Bulawayo's debut calls to mind the great storytellers of displacement and arrival who have come before her—from Junot Diaz to Zadie Smith to J.M. Coetzee—while she tells a vivid, raw story all her own. What is revealed in their coming together is the story of how they came apart: the hearts broken, the lies told, the crimes committed in the name of love. Splintered, alone, each navigates his[sic] pain, believing that what has been lost can never be recovered—until, in Ghana, a new way forward, a new family, begins to emerge. No one really knows who Andrew Winston Winters is. Least of all himself. He is part Win, a lonely teenager exiled to a remote boarding school in the wake of a family tragedy. The guy who shuts the whole world out, no matter the cost, because his darkest fear is of himself ...of the wolfish predator within. But he's also part Drew, the angry boy with violent impulses that control him. The boy who, one fateful summer, was part of something so terrible it came close to destroying him. A deftly woven, elegant, unnerving psychological thriller about a boy at war with himself. 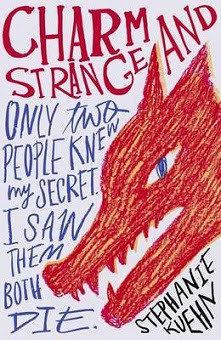 Charm and Strange is a masterful exploration of one of the greatest taboos. ***You can sign up for A More Diverse Universe at Booklust. If you’re taking part, what are you thinking of reading? And whether you are or not — what do you think I should read? 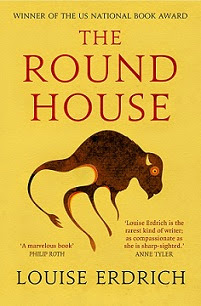 I'm still not sure what I'll be reading for A More Diverse Universe, but I, too, have been meaning to read some Louise Erdrich for a while now. I'm not sure yet either, but I do love Louise Erdrich! I'm thinking of a couple of new Canadian novels which are coming out in September -- including Thomas King's latest, The Back of the Turtle (very exciting). I also have one American classic on my TBR that I may tackle, Jessie Fauset Redmon's Plum Bun. Pretty much your whole stack is already on my tbr list. I'm still trying to figure out what I should read. A much-needed initiative and a fab reading list! 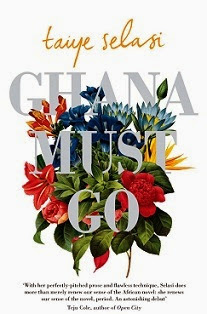 I loved Ghana Must Go and I'm currently reading We Need New Names. Enjoy! Great list! All these authors are new to me except for Louise Erdrich, and I haven't read any of her novels in years. Ugh, but Boy Snow Bird is SO GOOD until the garbage ending! I absolutely loved it until the garbage ending! Whyyyyyyyyyy. Ahem, anyway, I am really excited for this event! I've already scheduled two review posts for the week -- one of them for a book I thought was absolutely terrific -- and I want to schedule at least one more. Fence: She sounds great, doesn't she? Vasilly: Whatever you pick, looking forward to hearing about it! Kinna: Good to hear Ghana Must Go was as good as it sounds! Jenny: I know, I know! I still want to read it eventually, because other than those last 20 pages it sounds so worth it. Also, I'm in awe of how organised you are. I'll be on holiday from the 13th to the 21st, so ideally I'd have reviews pre-scheduled by now too - but alas. I really want to do one here and one at LB, though, and at last everything's already in place for the latter. MR FOX sounds soooooo good, but I'm still gun shy after BOY, SNOW, BIRD's terrible ending. What a conundrum.